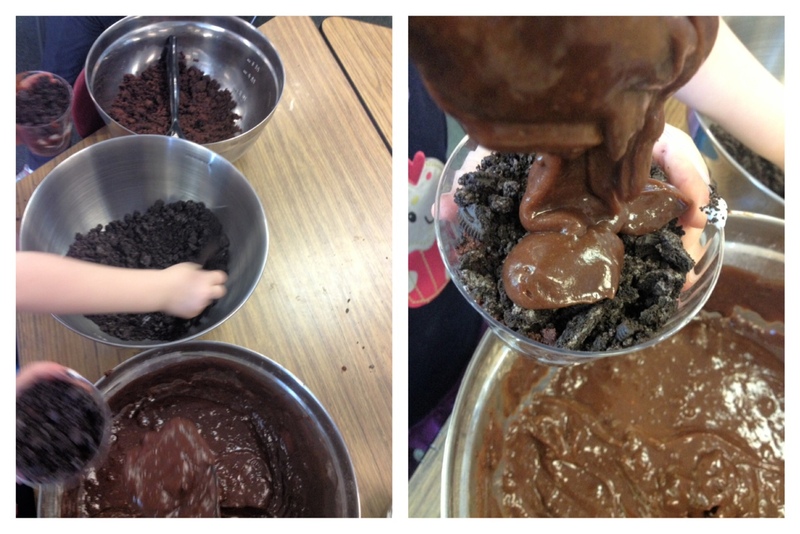 The K-1 Stars and I worked on a layering dessert; a chocolate trifle. We crumbled chocolate cake and Oreos. We also made instant chocolate pudding and added cool whip. We layered those ingredients in a cup and took our desserts home!